Some examples Let’s say Chris and Leslie have taxable income of $600,000. 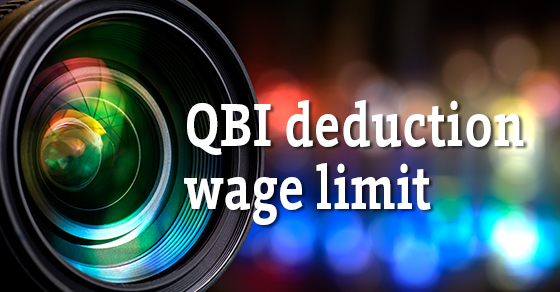 This includes $300,000 of QBI from Chris’s pass-through business, which pays $100,000 in wages and has $200,000 of QBP. The gross deduction would be $60,000 (20% of $300,000), but the wage limit applies in full because the married couple’s taxable income exceeds the $415,000 top of the phase-in range for joint filers. Computing the deduction is fairly straightforward in this situation.